The air has turned crisp. Evening is setting in earlier and earlier. Summer is behind us and fall has arrived. Time to roast, time to braise, time to unpack the sweaters, time for earthy red wines. 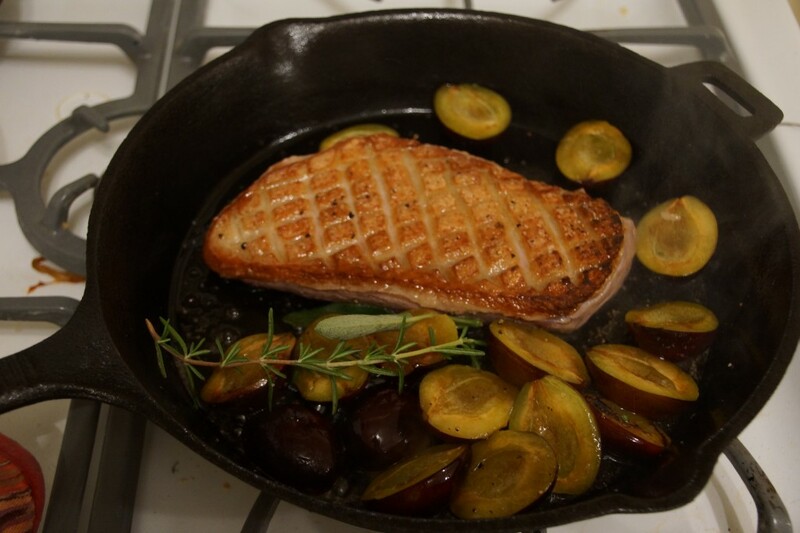 Datenight Duck. 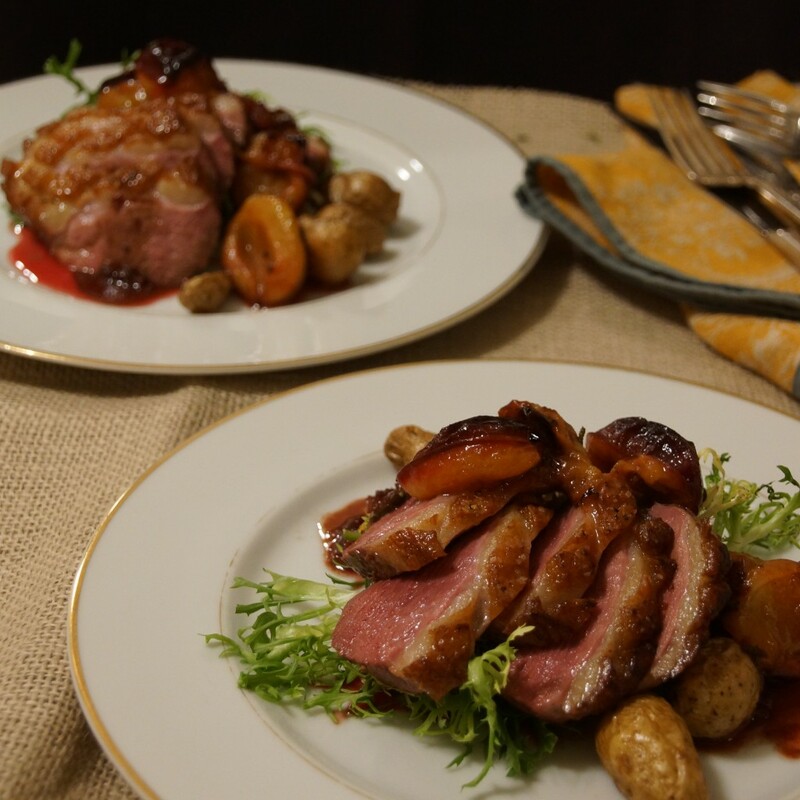 Beautifully seared and roasted duck breasts with sweet, herby roasted plums and red wine sauce. Just like going to a restaurant except I’ll be in slippers. 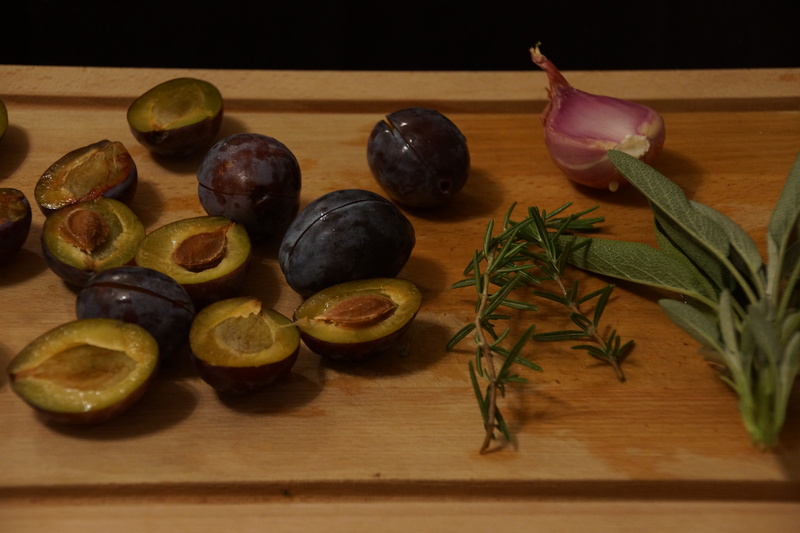 Plums, a shallot, a few sprigs from the garden. 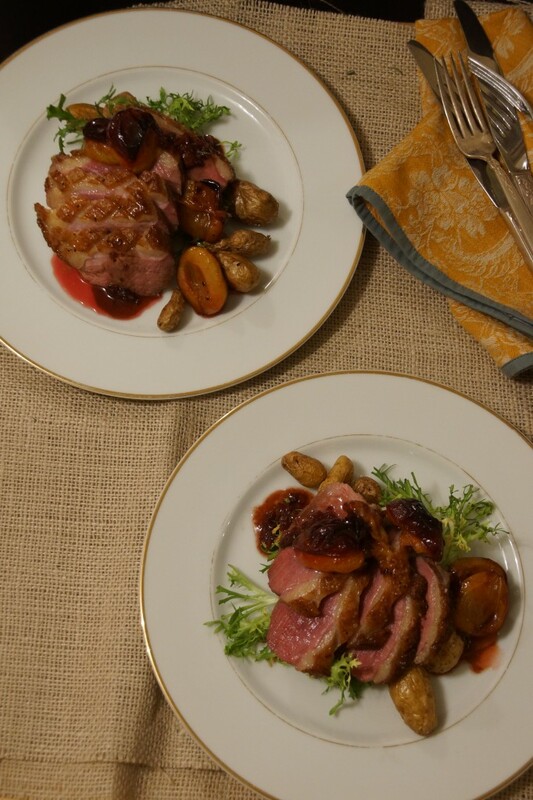 Halve your plums, mince your shallots, chop the herbs, and score your duck breast. We’ll be cooking in no time. 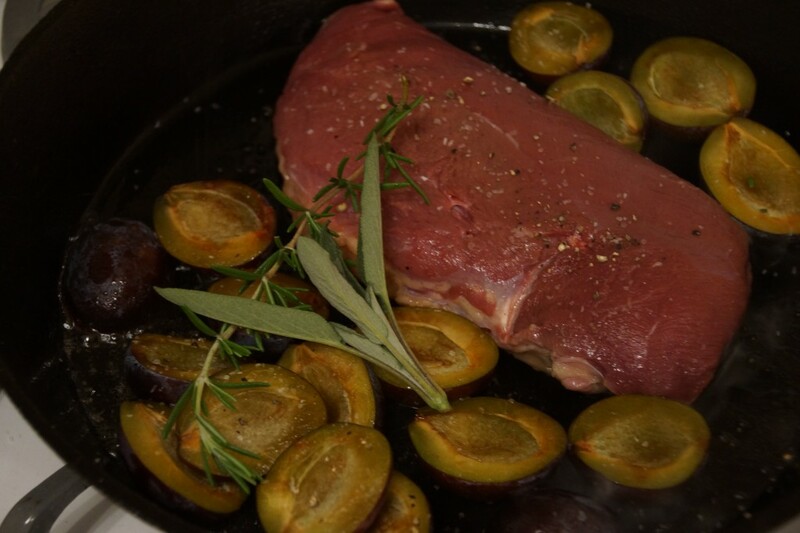 Let the duck skin get nice and cripsy, then flip and let it finish in the oven. Look- aren’t you glad you scored that skin. 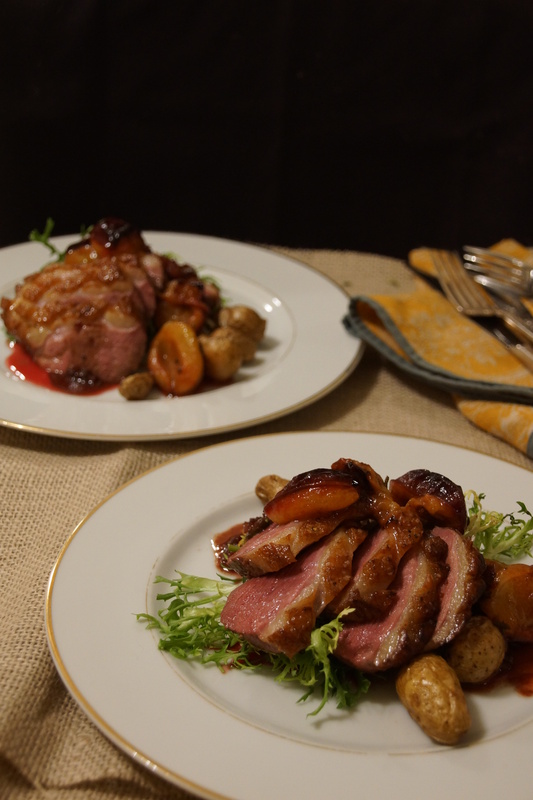 Plate the duck. Make it look all restauranty. Call your date to the table. Realize that $6 bottle of red just won’t do. Revel in your awesomeness. 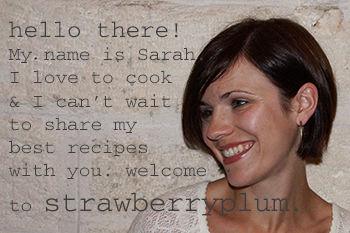 hello!,I like your writing very so much! percentage we keep up a correspondence extra approximately your article on AOL? I require an expert in this house to resolve my problem. May be that is you! Taking a look forward to see you.